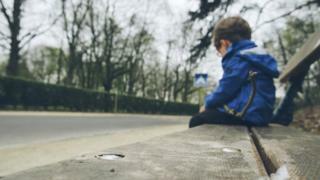 Not enough is being done to recruit children’s social workers in England, it has been claimed, as it emerged one in six jobs remain vacant. The figure compares to 17% in 2017 – although 1,000 extra workers were recruited last year. In some areas, local authorities have turned to recruitment or retention payments to keep or attract staff. According to the Local Democracy Reporting Service, Bradford council agreed to offer £2,400 payments last summer amid fears staff would move to neighbouring authorities offering higher salaries. Interim strategic director for children’s services, Gladys Rhodes White, said: “Stability and continuity is critical. Bradford’s Ofsted rating for children’s services fell from “requires improvement” to “inadequate” in November 2018, with inspectors highlighting a huge increase in demand for services alongside a “significant” number of social workers and managers leaving to work elsewhere. At the end of September, 10% of Bradford’s job were vacant, but the council said the situation has improved since. Mrs Rhodes White, who was appointed an OBE in 2012 for services to children, wants to see a national recruitment campaign for children’s social work. She said: “I don’t think we are as good nationally at celebrating children’s social work as we are with health or teaching professions, and I think that’s a real shame. However, recent research by Bath Spa University and the Social Worker’s Union (SWU) said working conditions were “chronically poor”. Almost 40% of staff surveyed said they were aiming to leave the profession. One former social worker from the North West told the BBC her workload was 50% higher than guidelines recommend. The woman, who asked not to be named, said this was despite her having only a few years’ experience, and that she saw colleagues and managers struggling with equally tough workloads. “I wasn’t the only one, we were all in it, and you couldn’t turn down a referral because the children need that support,” she said. Budget cuts meant cases were getting much more complex, she said, and staff turnover was a constant problem. She quit her job when she said the pressure became unbearable and she “got to the point that I thought ‘I can’t do this anymore'”, she said. The government says the growing number of children’s social workers shows the job is an “attractive career option”. Children and Families Minister Nadhim Zahawi said there were more children and families social workers in post since the government began collecting data. This meant there were “more dedicated people on the front line” offering support to the most vulnerable, he said. This story was developed alongside the work of the Local Democracy Reporting Service [LDRS], a public service news agency. The LDRS is funded by the BBC, provided by the local news sector and used by qualifying partners as part of a partnership between the BBC and the News Media Association.